Member of the Brazilian Academy of Music, Doctor of Education from the Faculty of Education of the UFRJ, First flutist of the National Symphony Orchestra (1968-1991), Professor at the School of Music of UFRJ (1971-1996), where he graduated with full marks, obtained for contest first prize a "gold medal". A native of Piracicaba, SP, studied under Jayme Rocha de Almeida. 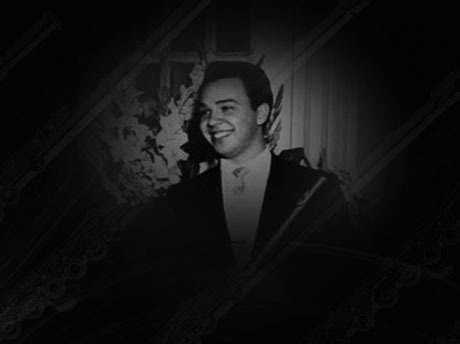 In 1958 he moved to Rio de Janeiro by winning the contest "Young Musical Talents" in order to fulfill your musical training under the guidance of the remarkable master Moacyr Liserra. Perfected in Paris with Alain Marion, Jean-Pierre Rampal and Nadia Boulanger and at the New England Conservatory of Music, Boston, as a visitor, In our country played in the most important concert halls as a soloist and as a member of the " Villa-Lobos Woodwind Quintet ", Ars Barroca" “Sextet of Rio de Janeiro “ ," Duo Instrumentalis ", “Classical Jazz of Rio de Janeiro ", and " Flutists of Rio de Janeiro! "(He was a founder of all these ensembles). In addition to its activities in the field of classical music, participated intensely recording soundtracks for movies and television and on the disks of the biggest names in Brazilian popular music, such as Tom Jobim, Egberto Gismonti, Edu Lobo, Caetano Veloso, Carlos Lyra , Roberto Menescal, Francis Hime, Chico Buarque, Milton Nascimento, Roberto Carlos, Djavan, Gal Costa, Maria Bethânia, Clara Nunes, among many others. Formed a remarkable generation of flute players who have played in the most important competitions and as members of our symphony orchestras. His”Método Ilustrado de Flauta” (Illustrated Method of Flute) (moving towards the 6th. Edition), prefaced by Jean-Pierre Rampal obtained international repercussion. Their didactic works most recent are the “Flauta Fácil, volumes 1 e 2 " (Flute Easy practical method for beginners volumes 1 and 2, including a CD with internationally known melodies, easy to perform, to be played with playback. Due to the success of these works published by Editora Irmãos Vitale was born, under your coordination, the Easy Series: Sax Easy, Easy Trombone, Piano and keyboard Easy and Easy Clarinet. In preparation Easy Violin and Recorder Easy. Previously, were published the following works for flute of Brazilian authors: Sonatina in D major by Radamés Gnattali, Sonata T5 by Brenno Blauth, Sonatina by Camargo Guarnieri, Brazilian Pot-Pourri by Alberto Arantes and the Inubia do Cabocolinho by Guerra-Peixe. They also had much success the three volumes of the collection of Brazilian music for flute. Has traveled constantly to the outside to give master classes and participate in international festivals. Has performed in Atlanta, Asunción, Beijing, Bogota, Budapest, Buenos Aires, Caracas, Chicago, Copenhagen, Stockholm, Halifax, Hamburg, Le Mans, Los Angeles, Lima, Lund, Madrid, Malmo, Mendoza, Mexico, Montevideo, Nice, Orlando, Porto, Quito, Rosario, San José Costa Rica, Santiago de Chile, Slovenia, St Petersburg, Tuscaloosa, Valencia and Vilnius. Coordinated the Funarte Bands Program from 1976 until 1990, having been a big booster of the improvement of wind instruments of national manufacturing. In August 1994, created the Brazilian Flute Association of which he was President until 2007. Received important awards for your work in the field of music education. From 1997 to 2003 he was coordinator of the marketing world famous Japanese SANKYO flutes. Currently resides in Paty do Alferes, RJ, where he continues producing teaching methods and ministering classes for free for young people from the region, with emphasis on Vassouras City where he is partner of the PIM (Integration Program for Music).